Marketing for a plumber or plumbing company? What customer are you trying to target? What services do you want to generate more business for? What areas do you want to target for these customers and services? Why should a customer choose you over your competitor? These questions should be answered before you even think about your marketing campaign. There are several different ways to market to your client base some are effective for one type of marketing campaign and others for different types of marketing campaigns. 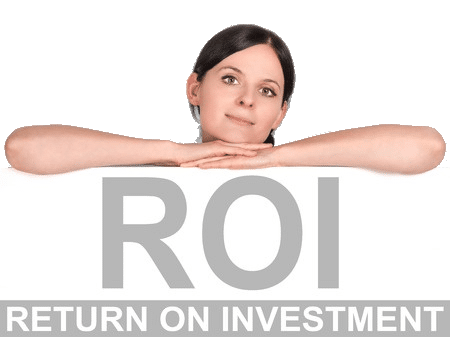 As a plumber or plumbing company this is one of the most important things to figure out to ensure your marketing budget is spent in the correct avenues in order to get the best ROI. We have several plumbing companies we work with, across the USA. Some of them include; Plumbers in San Diego, Plumbers in Olympia & Houston Plumbers and we can help your company be found the right way online. While their business and marketing needs differ in one way or the other one thing always remained constant….generating new customers and increase the bottom line by increasing ROI. Questions every plumbing company should know! 1) What customer are you trying to target? 1a) what client is the type of client that pays you for the work you want to do? 1b) Are you getting only residential drain cleaning jobs and prefer to have more commercial accounts? 1c) Are you getting an older demographic and prefer a younger demographic or vice versa? 2) What services do you want to generate more business for? 2a) as in question 1b are you only getting calls for small jobs and prefer larger jobs? 2b) Do you have a specific plumbing job or service that you prefer to do over others? 2c) what jobs make you the best return on your time? TIP: If you are a plumber in Katy and are only getting a bunch of residential drain cleaning jobs but want more commercial sewer line jobs. You would want to make sure the advertising you are placing into your community targets more of the commercial sewer line repair while still trying to capture those residential drain cleaning jobs as well. 3) What areas do you want to target for these customers and services? 3a) Are you only generating jobs for your local city and want to generate calls for surrounding cities or counties? Which ones? 3b) Do you have employees in outlining cities that your plumbing company can utilize in order to handle jobs in those cities without incurring additional expenses? 3c) Are you looking to grow your company (add a few new employees) or do you prefer to stay put. What is your business goal for the next 12 months? Example: If you are a plumbing contractor in Seattle but you also service areas outside of Seattle like Tacoma, WA (only 34 miles away, with a population of over 202,000). It is a good idea to let your potential customers know that it is within your service area. 4) Is the product or service promotional only (time sensitive)? 4a) is this a service or special you are offering for a limited time due to limited supplies? 4b) is this a service you want to continue to offer to your plumbing customers after the promotional period? 4c) How much time do you have to get the promotional product or service to the public? 4d) is this promotion or service only available to new clients or can current clients gets this product or service as well? 5) Why should a customer choose you over your competitor? 5b) Do you have any accolades, training or certification your competitor doesn’t have (e.g. Voted Best Plumber by the San Francisco Chronicle)? 5c) Do you have any referral programs to help your word of mouth marketing? All of the above are very important questions you should have a solid answer for. Based on your answers a marketing consultant with experience in the different forms of advertising should be able to help you launch a program across the forms that will give you the best return and usage. Without some information about your business no one can help you. Its hard to help anyone when you don’t know what their goals, offerings, and wants are. Need help growing your plumbing company online? As a plumber marketing company we specialize in helping plumbing companies large and small realize the dreams and aspirations they have for their company. We have seen increases of over 30% in revenue for clients by tweaking just their online campaign alone. While we specialize in online marketing for Plumbers and Plumbing Companies, as a partner we ensure you have the best marketing coverage for the dollars spent. Your success is what helps continue the growth of our company. Make sure to claim your plumbing company listing Local Plumber, all submissions are reviewed for quality & accuracy. If you would like for Busy Bee Media, Inc. to review your current marketing program or help you generate business online with a result based program please contact us today by using our contact form or by calling 800-690-LOCAL (5622).